Thanks for all the attendees of REM 2011 Workshop! Thanks to Mechatronics Engineering Club of Kocaeli University, Rectorship of Kocaeli University, FESTO and TÜBİTAK for making REM 2011 Conference a huge success. REM 2011 Conference participations, presentations and photo gallery published. In association with the International Network of Mechatronics Universities, Kocaeli University is organising the above Workshop. You are cordially invited to participate in REM2011, which will take place in Kocaeli, Turkey. REM Workshop is, since 1999, a 2-day annual event covering the state of the art, experiences, and new trends in the areas of research, applications and education in Mechatronics. It provides the opportunity to exchange experiences with emerging methods and practical applications across the borders of the disciplines involved in Mechatronics. The Workshop is promoted by the International Network of Mechatronics Universities, whose goal is to exchange experiences in Mechatronics research and education. The 12th International Workshop on Research Education in Mechatronics scientific programme will include keynote presentations by internationally renowed researchers, contributed papers emphasizing all core areas of engineering design and manufacture. Click here for the updated REM2011 Conference Programme. REM 2011 will be held at Prof. Dr. Baki Komsuoğlu Congress and Culture Center. Please keep in mind that registration of conference and keynote presentations will be held at Ihlamur Congress Center. Please look at Umuttepe Campus Map for details. 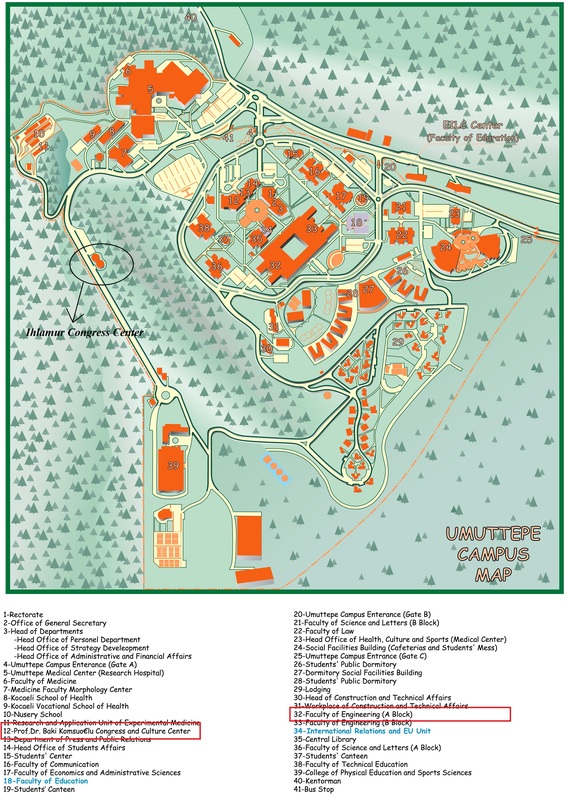 Click here for the Umuttepe Campus Map.